With decades of models to offer and a multitude of awards over its long history, the Honda Accord line delivers renowned reliability and family-friendly features. 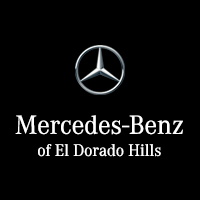 Used Honda Accord models continue to be one of the most sought-after throughout Folsom, Gold River, Rancho Cordova, and elsewhere, which is one of the reasons why we have them in stock at Mercedes-Benz of El Dorado Hills. In the words of KBB.com: “For nearly four decades the Accord has been a staple for the automaker and a standout among rivals”*. The line unites simple operation with accommodating interior dimensions and styling, plus a dependably strong range of first-class features. Its enduring appeal is one reason we like to offer used Honda Accord models for our customers, and you can be sure that each one will have been inspected meticulously by trained Mercedes-Benz technicians to ensure adherence to our own high standards.